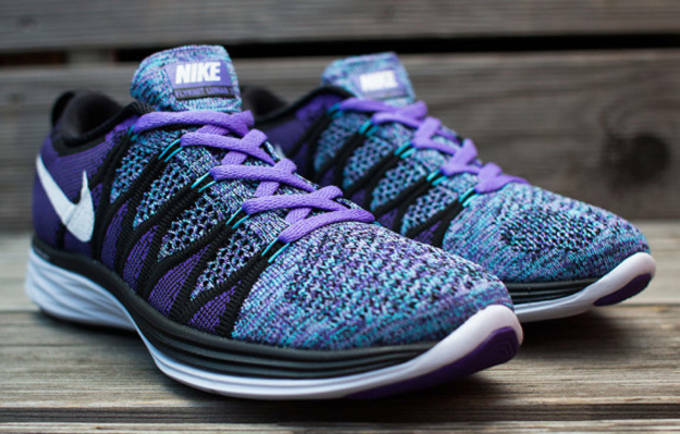 Here's Your First Look at the Nike WMNS Flyknit Lunar 2 "Purple Haze"
Nike&apos;s been known to go crazy with their Flyknit models, often outfitting them with crazy multicolor schemes that catch the eye. 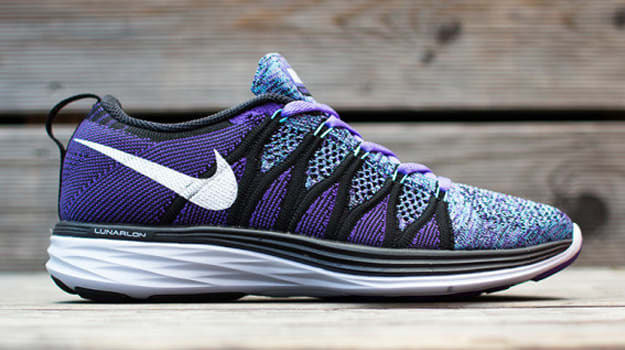 The Swoosh is back with yet another prime example as they launched the Nike Flyknit Lunar2 "Purple Haze". Since debuting back in Februrary, the Flyknit Lunar2 has been a go to running shoe across the board this summer. 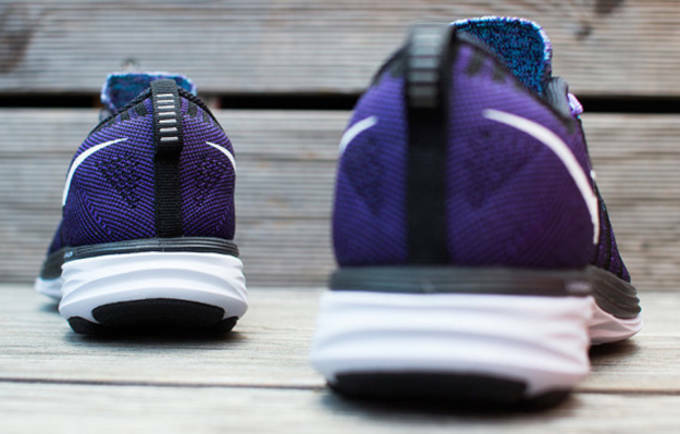 Pairing Flyknit and Lunarlon together is a match made in running heaven as it offers a lightweight, flexible feel with the right amount cushioning and responsiveness. 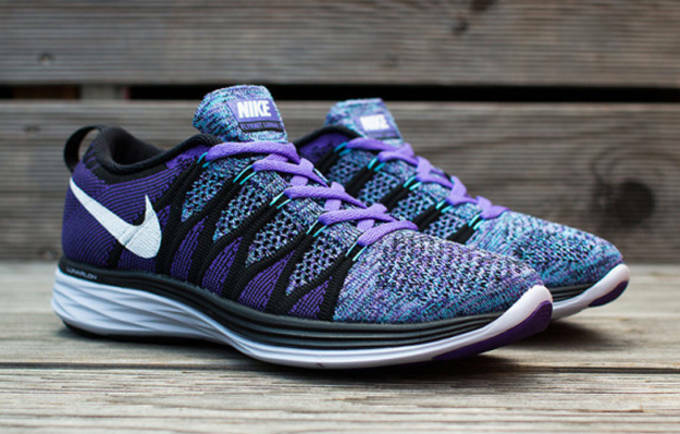 The Flyknit Lunar2 "Purple Haze" features a mix of purple and teal through the woven upper, with a nice compliment of black and white through the midsole and outsole. This is one of the better colorways we&apos;ve seen this summer for the Flyknit Lunar2, but sorry fellas this version is only women, at least for the time being. No official stateside release has been set just yet, but for those of you who can&apos;t wait head over to Suppa to scoop a pair while you still can.